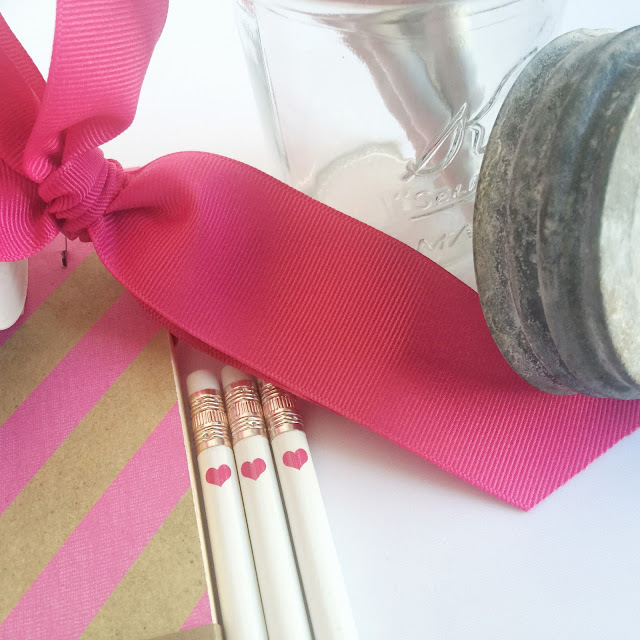 I wanted to share a really quick non-candy Valentine's Day gift. These could be passed out at school or in the office. 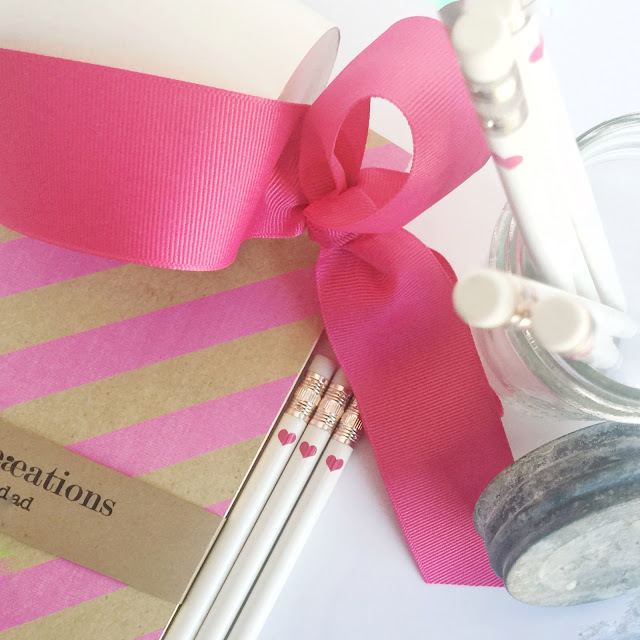 These make a perfect none candy gift. 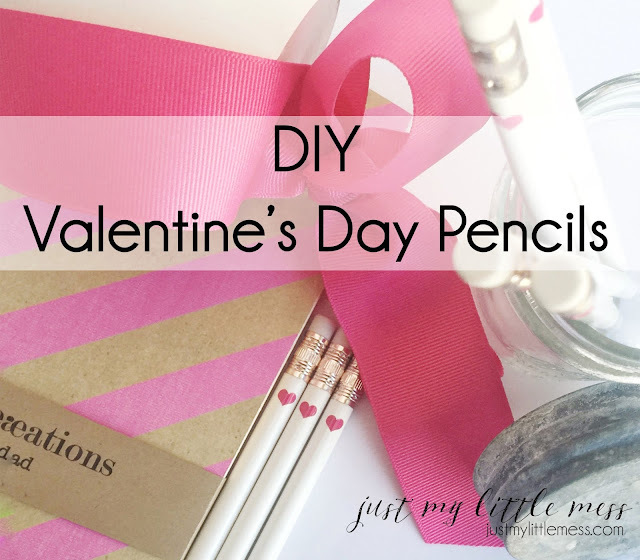 DIY Valentine's Day Pencils - these are so super easy...let's get started. You need just a few things. I used my Cricut Explore Air to cut out a few tiny hearts. 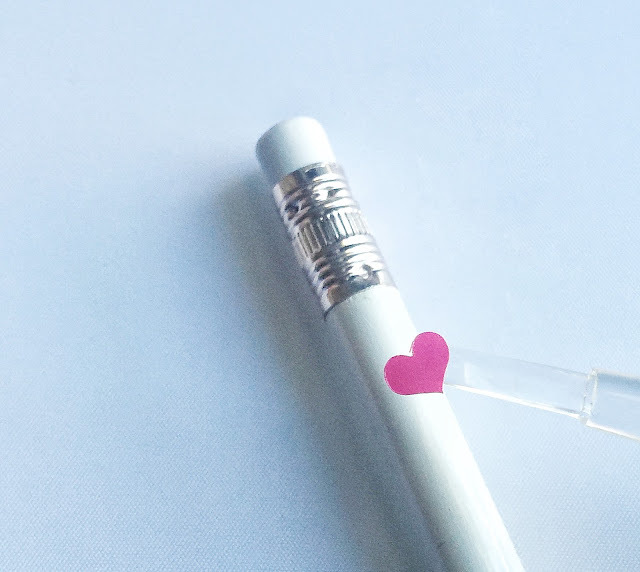 Just place the vinyl heart onto the pencil. And package them up. Note: I'm using a permanent vinyl so I didn't add any extra protection, but you could use a little modge podge if you wanted a little added protection. Just add a little over the vinyl heart and let dry. 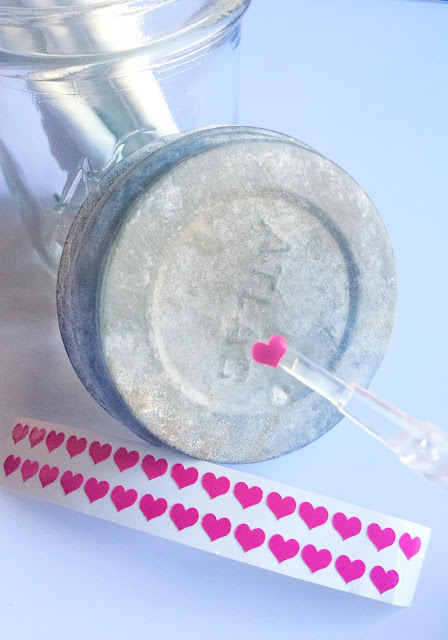 How simple is this...super quick and really cute (and useful).